From the frankly bizarre to creations that are nothing short of genius, Cafe Racer charts the cult of the modern-day “ton-up boys”. In garages, sheds and barns across North America a dedicated gang of wrench-wielding enthusiasts strip classic and modern bikes to their bare essentials as they search for better performance than the factories saw fit to endow. It’s not all about speed and spanners though, there’s a real cultural element to what the self-professed “greasers” are doing. Season two traces the heritage of today’s bike builders in a direct line through the street fighters of the ’80s and ’90s, the CB750 fettlers of the ’70s to the cradle of the genre in London of the 1950s and ’60s. 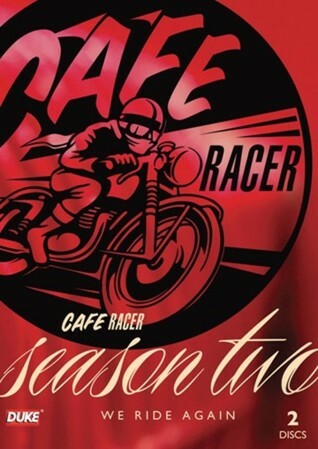 Legend like Dave Degens lend their wisdom to this superbly researched and produced examination of what it takes, and what it means, to be a 21st Century Cafe (‘Caff’) Racer. There’s five hours of fascinating history, interviews, tips and hints here plus some stunning builds of bikes as varied as a custom BSA A65, Honda CB360 and even a Ducati 1098!